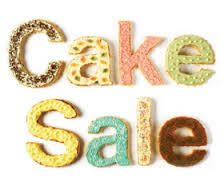 The very successful Cake and Craft sale held annually in Holy Rosary School Wicklow Town will be held on Friday, 12th December from 9.30 till 12 noon. Not only can you enjoy a coffee and mince pie with friends, you can also pick up a few locally made Christmas crafts for yourself or for gifts; maybe handmade jewellery for a long standing friend, personalised chocolate bars, cookery books, scented candles, local prints for far away friends, button art or Christmas floral baskets and wreaths to decorate the house, or beautifully handcrafted stained glass for a real magical touch. At the cake table will be a selection of scrumptious and tempting homemade cakes, scones and breads. As usual the raffle will be held on the morning with great prizes. The money raised at last year’s event was used for various projects and to enhance maths initiatives organised by the school. This has been a huge success due to the teaching staff and has improved the maths scores for children in the school. The Parents’ Association would like to thank all who supported us last year and hope to see you again on the 12th December.